Self-Guided Open May 7, 2017 - October 1, 2017. Contact us to receive a booklet - 651-438-8480 (LeDuc Estate) or 651-552-7548 (Dakota County Historical Society). Guided Tours Available the 2nd Sat. of June, July, August, & October., 10 a.m. $11 per person. Reservations required - 651-438-8480. Enjoy an historic walking tour of Hastings' most beautiful park, just blocks from the LeDuc Estate. You will learn how the Vermillion River and the milling industry shaped Hastings while taking in the natural beauty of the river & breathtaking falls. The guided tour also includes a tour of the LeDuc Historic Estate. The water no longer powers flour mills today, however it is well worth the trip for the exquisite beauty of Minnesota’s natural bounty. Miles of scenic trails wind along both the Mississippi and Vermillion rivers in the area that are sure to entice anyone who loves the outdoors. 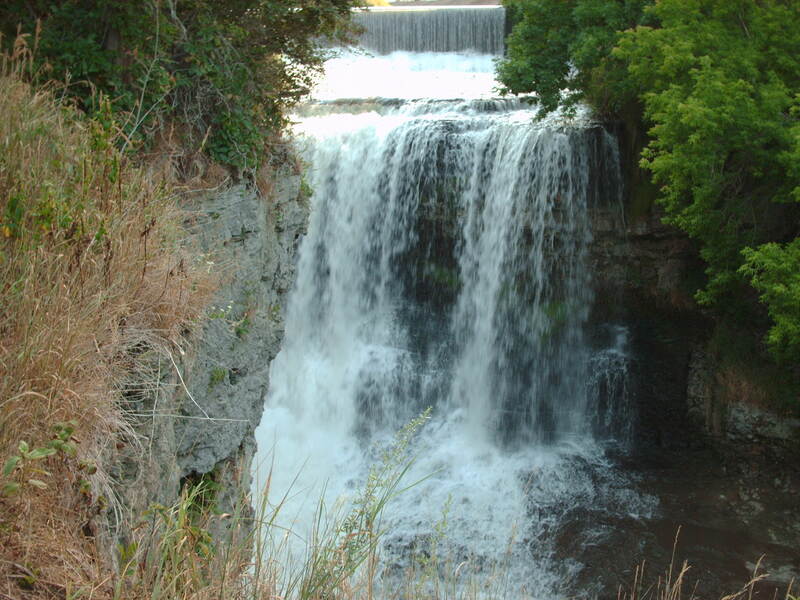 Vermillion Falls Park is on the south side of Hastings, just off Highway 61 and County Road 47, near the Con Agra flour mill. The stunning Vermillion Falls are 100-feet high. Its water power first began to power a mill in the 1850s that most notably produced the first saleable graham flour in the state.